Our guide to wedding reception entertainment in NY will inform you of the hottest DJ's, bands, and other wedding entertainers throughout the state! 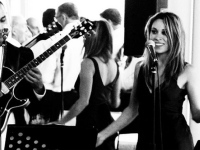 If you're looking for wedding party entertainment in NY, we are your number one source! 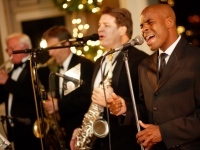 Book any of these great New York wedding bands, who will gladly spice up your wedding reception with cool, upbeat tunes. Find all the information you need to know about NY wedding bands throughout NYC, the Bronx, Brooklyn, and other parts of the state. Find all types of cool wedding DJs in NY who will be able to keep every one of her guests glued to the dance floor with happening tunes. 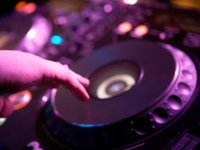 Search for wedding DJs in new york that offer affordable prices. Find all types of wedding entertainers in NY, who will gladly perform at your wedding for a price that fits your budget. Read detailed information about different types of wedding party entertainers in New York, some of whom come highly rated by a multitude of clients. Whether you're looking for an upbeat rock musician or a soothing jazz pianist, we've listed all types of wedding musicians in NY that are available for hire. Find wedding singers in new york quickly and easily by browsing through our comprehensive wedding guide.